Notice - This is a prank app! A fast and easy way to increase the power of your wireless signal. WiFi booster will place your android device wireless radio into high performance high power mode with the simple push of a button. 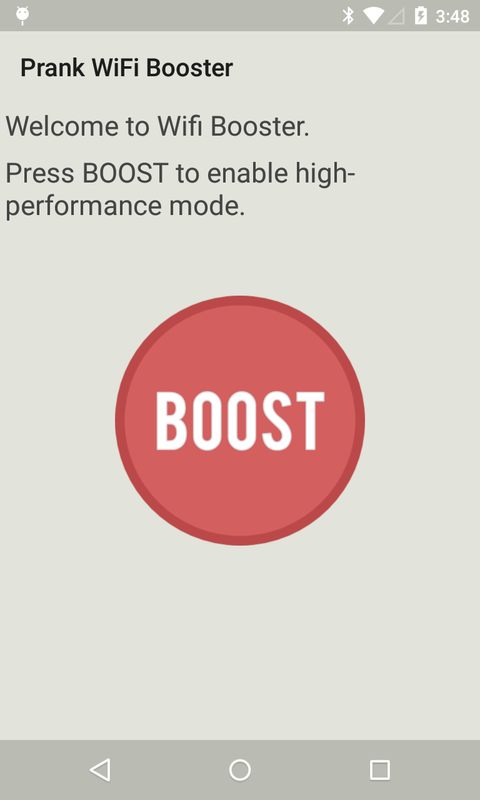 Keep the app running in the background to maintain the performance boost. Wifi Booster 2013 is a handy app to have when you are out and about and are getting a weak wireless signal. The app sets your wireless radio into high performance mode, which will use more battery power but should give you a better signal. Results may vary based on make and model of phone. 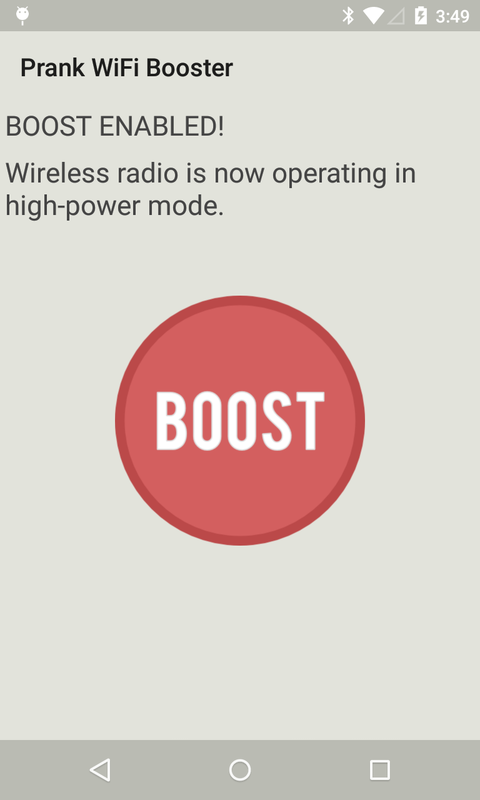 This app sets your radio into High Power mode, but who knows if that actually does anything useful or not. That is why this app is labeled as a prank, although you may find that it offers some performance gain.